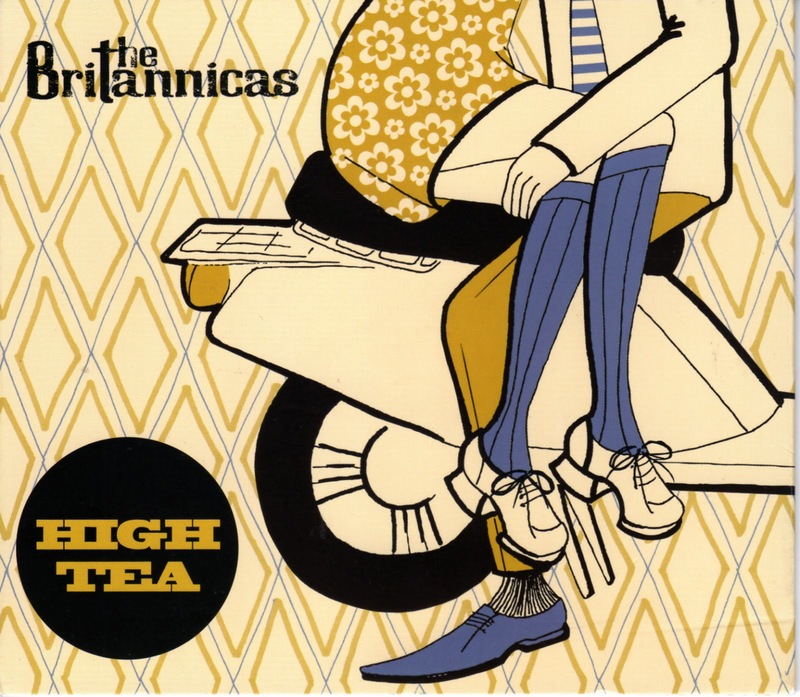 High Tea, the title of the latest effort from The Britannicas, has an appropriate regal significance but the CD could have just as easily been named Iced Tea. Not only because of its July release date, but also because these 13 songs sport breezy power pop arrangements. The international trio, comprised of American Herb Eimerman, Swede Magnus Karlsson, and Australian Joe Algeri, continues to draw inspiration from original British Invasion bands as well as American acts like The Beach Boys and The Byrds. Karlsson’s catchy “Talkin’ ’Bout Summer” celebrates a season when romances are fun though often temporary, and Algeri serves up memories of teenage action from 1965 amidst the hard-edged pop of “The Moment Passed.” The members of The Britannicas share similar traits when it comes to songwriting, but each has his own style and quirks. Algeri, who also performs as The JAC, tends toward offbeat material like the Kinks-inspired “I Work At The Post Office,” while Eimerman favors love songs with enigmatic lyrics. His “Bleed Between The Lines” sounds like it could have been a hit single in 1965. On his catchy “Come On Boys,” Karlsson incorporates church choir harmonies and acoustic guitar as he advises young adults on how to navigate relationships and a troubling world. The Click Beetles - Wake Up To Music!